Hood College, founded in 1893, is an independent liberal arts college providing a residential experience for undergraduate men and women, and a professionally oriented graduate school. 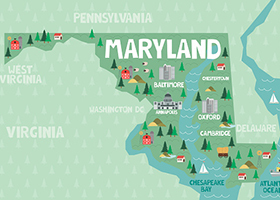 Its 50-acre campus is located in Frederick, MD, one hour from Washington, DC, and Baltimore, MD. 50-acre campus in Frederick (population: 71,408), 40 miles northwest of Washington, DC, and 45 miles west of Baltimore. Served by bus; major airports and train serve Baltimore and Washington, DC. School operates transportation to Washington, DC, metro shuttle and subway stops, and to airports for semester breaks.